A paper has been published about research into the tribochemistry of fuels/biofuels and how the addition of unsaturated fatty acids affects their lubrication. This work involved XPS research with a PHI VersaProbe II at the University Central de Lyon in France, and SIMS data from a PHI nanoTOF II. 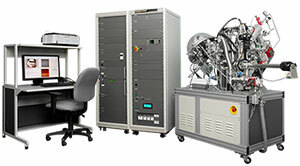 The paper is written by Maria Isabel De Barros Bouchet, Jean Michel Martin, Cyrielle Forest and Thierry le Mogne at the University of Lyon, Michael Mazarin at Total Marketing Services, Jose Avila and Maria C. Asensioc at Antares Beamline, Synchrotron Soleil, and Gregory L. Fisher at Physical Electronics. The full scientific paper is published by the RSC in their journal RSC Advances. It’s available to read online with open access on the RSC Publishing website (download a pdf or read online). The paper looks at the impact of fatty acids on the lubricity of diesel and biodiesel fuels. They were tested in steel/steel contacts at temperatures of 40°C and 100°C. Adding 7% v/v Fatty Acid Methyl Esters (FAMEs) to the fuel forms biodiesel, and lubricates the steel–steel contact. This reduces the friction coefficient by about 30%. Further addition of fatty acids reduces friction significantly by a factor of 2 at the highest temperature (100°C). Some unsaturated fatty acid additives boost the friction reduction by a synergistic effect with the biofuel. The worn surfaces were analysed by XPS. This revealed that an insulating film had formed, primarily in the center of the tracks. In addition, carboxylic groups had disappeared. Left: XPS carbon (C 1s) spectra of pure FAME and FM liquid compounds. 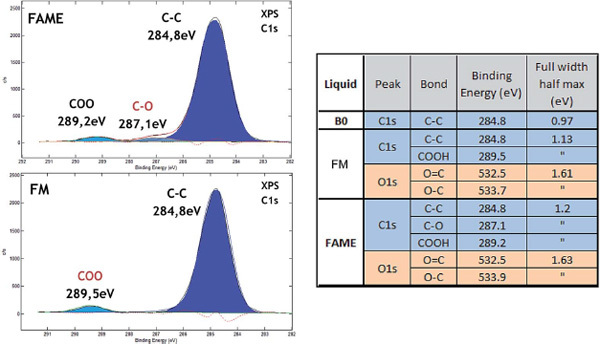 Right: XPS quantitative analysis of different chemical states of C and O elements. PM-IRRAS analysis highlighted a lack of carbon double bonds in the tribofilm and the presence of esters (iron and/or organic soaps). 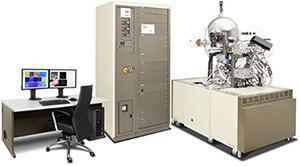 Combining high-resolution photoemission soft X-ray absorption and SIMS data showed that the surface of the tribofilm consists of planar arrangements of sp2-rich molecules, such as quinones and/or graphene oxides. The effects of shearing, temperature and possibly oxygen from air/fuel created complex chemical reactions in the diesel matrix, between FAME and the unsaturated additives. This generated a new tribofilm material on the surface of the steel. This process involves double bonds. The fundamental tribochemistry mechanism is therefore thought to be related to a reticulation process. This process was catalysed by the formation of oxide particles in the sliding interfacial contact zone, accompanied by aromatisation of fatty acids on the surface. XPS C 1s and O 1s spectra from the tribofilm formed with FM in B7 biodiesel at 100°C. The full paper, with detailed results and a full description of the methods, is available to read online for free on the RSC website.